One of the most influential teachers of watercolour painting in the last half century in the UK was the late Edward Wesson - 1910-1983. 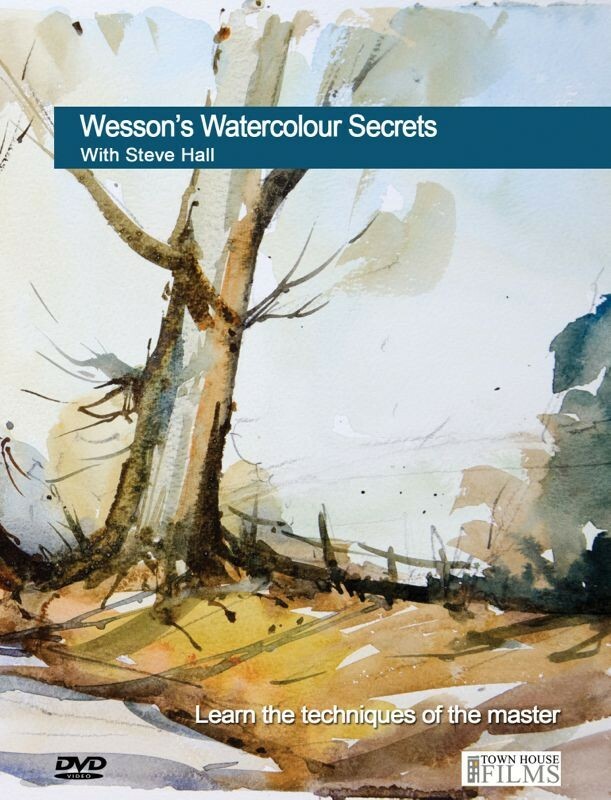 Sadly "Ted" as he was universally known never hot to make a teaching video but West Country artist Steve Hall has attempted to fill the void by filming with us our first release of 2013 release - Wesson Watercolour Secrets. Steve has made a 12 year study of the great man and co-written two book on Wesson. He also owns a considerable number of Wesson originals and by close examination of the paintings and painstaking detective work Steve has pieced together the techniques that made Edward Wesson a painting legend. The result is a brand new DVD that lifts the lid on Edward wesson's watercolour secrets. Steve even paints one picture on the DVD with Wesson's own painting brushes - recently given to him by Ted's daughter Elizabeth Wesson. There are four full demonstrations on this DVD. Running time I hour 36 minutes approx.